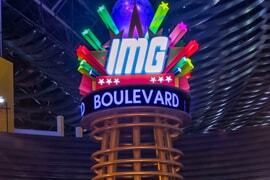 Get your heart pounding with a trip to IMG Worlds of Adventure Theme Park! From Spider-Man Doc Ock’s Revenge, Ben10 5 D Cinema, and Dino Carousel to the extremely thrilling Haunted Hotel, your IMG tickets allows for an unlimited access to all of the fabulous rides, games and attractions spread over its four uniquely themed zones, such as Marvel, Cartoon Network, Lost Valley, and IMG Boulevard. Besides a range of dining venues, a multiplex cinema is also attached to the facility. After a pick up from your Abu Dhabi location, enjoy an easy transportation to Legoland Dubai, which is placed inside the sprawling Dubai Parks and Resorts. It takes approximately two hours to reach here based on the traffic and other aspects. Your entry pass provides unlimited access to the attractions of park’s six zones, such as Lego City, Adventure, Imagination, Factory, Kingdoms, and Miniland. Besides rides and games, you can discover Middle East’s biggest Lego store, watch 4D movies, and experience over 15000 Lego structures on your visit here. 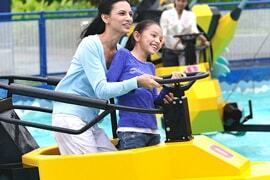 You can also enrich your experience by visiting Legoland Water Park nearby (charges apply). 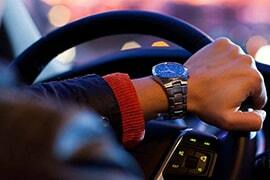 Following a whole day of thrilling fun and laugh out moments, you’ll be dropped off to your hotel in Abu Dhabi. Many unmissable attractions and imposing experiences of two of the UAE’s greatest cities – Abu Dhabi and Dubai, come together to make this perfectly curated adventure break an experience-of-a-lifetime. You’ll enjoy a comfortable five-night stay in your desired Abu Dhabi hotel, with all theme park entry tickets, desert safari, and airport transfers organized by our destination specialists. 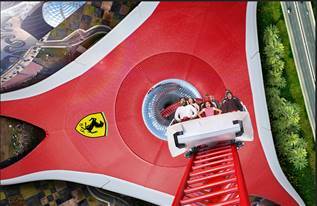 Begin your adventure holiday right by visiting one of the region’s most premium theme parks, Ferrari World Theme Park. Complete with a mix of extremely daring and kid-friendly experiences, this theme park on the astounding Yas Island is much more than its irresistible rides; it gives you a captivating insight on Ferrari- the all-time favorite Italian sports car brand. Whether you’re a first-timer or revisiting, don’t miss its ultimate rides by way of Formula Rossa, Speed of Magic, and Fiorano GT Challenge. For a dose of pure amusement and exhilaration infused with spellbinding culture and local culinary flavors, escape to Abu Dhabi’s awe-inspiring desert scenery. 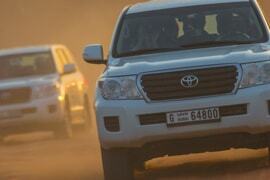 It will get you completely off-the-beaten on a super exciting 4X4 dune bash. This is followed by a multitude of activities that recall the region’s fascinating bye-gone era, such as camel ride, Shisha smoking, Tanura show etc. Just keep on amplifying your holiday’s fun and thrill quotients, as you enjoy day trips that take you to some of Dubai’s most exceptional and cutting-edge rides and shows at IMG Worlds of Adventure – the region’s first mega-themed park with four amazing zones; and then Legoland Dubai which particularly appeals to your little ones, thanks to its six creative sections full of surprises ideal for 2-12 years. So act now to grab this ultimate Arabian adventure! We’ll do all arrangements means all left for you is to chill and focus on the things that best interest you. I would give the tour a 5 out of 5! I am not a very adventurous person but my husband is and I wanted to do something special for his birthday. Booked this tour as a birthday gift for him and he totally loved it! I, my husband and son had a wonderful time at Abu Dhabi. While my husband loved all the tours, it was the Ferrari World theme park that he liked the most. My son had a great time at Legoland Dubai. Overall, it was a great trip! My mom had never been on an international holiday. So, when it was her 50th birthday and I wanted to do something special for her. This tour to Abu Dhabi seemed like the perfect gift and she was delighted. We had a great time in Abu Dhabi. My mom loved all the tours but she had the most fun at Legoland. I would like to say thanks to Rayna Tours for making this tour really pleasant and memorable for me and my mother.